Home > How can you measure the value of a webpage? > How is MozTrust different from Majestic Citation Flow? How is MozTrust different from Majestic Citation Flow? 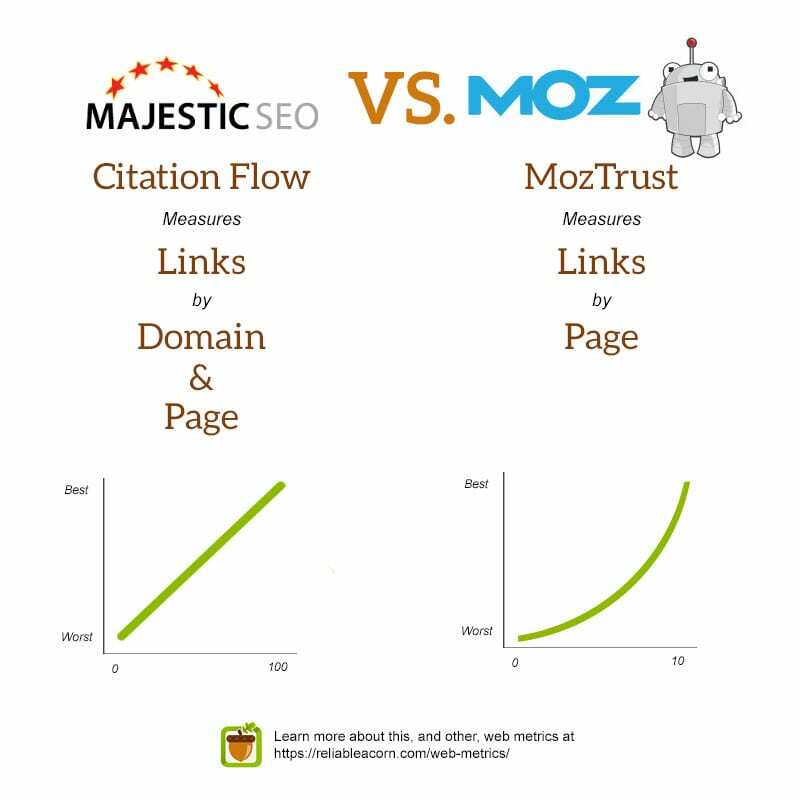 MozTrust is similar to Majestic Citation Flow, but rather than measuring the number of links, MozTrust measures link trust. Majestic Citation Flow is a score between 0-100 which predicts how influential a URL might be based on how many sites link to it. MozTrust is based on an exponential scale between 0 to 10 where it is calculated based on the distance of a trusted web page to a given webpage. MozTrust is more similar to Majestic’s Trust Flow than Citation Flow.